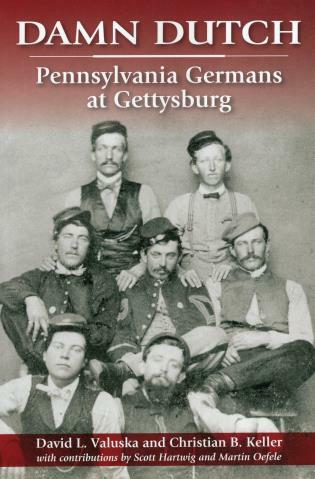 This is the first work to highlight the contributions of regiments of the Pennsylvania Dutch and the post-1820 immigrant Germans at the Battle of Gettysburg. On the first day, the 1st Corps, in which many of the Pennsylvania Dutch groups served, and the half-German 11th Corps, which had five regiments of either variety in it, bought with their blood enough time for the Federals to adequately prepare the high ground, which proved critical in the end for the Union victory. On the second day, they participated in beating back Confederate attacks that threatened to crack the Union defenses on Cemetery Hill and in other strategic locations. David L. Valuska is Freyberger Professor Emeritus of Pennsylvania German Studies at Kutztown University. Christian B. Keller is Associate Professor of Military History at the United States Army Command and General Staff College, Fort Belvoir. Scott Hartwig has been an interpretive park ranger at Gettysburg National Military Park since 1980. Martin Oefele is a former professor of American history at the University of Munich.